For the best visual impact, select a container with an outside diameter of at least 18 inches that is at least 15 inches tall. Fill the container about two-thirds with lightweight potting mix, and place the bulbs (pointed end up) close together in a tight circular pattern. Plant the bulbs closely, almost touching, at the depth they would be planted in the ground, generally about twice the height of the bulb. Cover them with soil, leaving about an inch of space at the top, and water the pot. If squirrels or other animals dig in the pots, some kind of wire grid – such as the circular type made to support peonies – should dissuade them. Cover the wire with a thin layer of soil; when the foliage begins to peek through the soil, they will grow through the open grid. 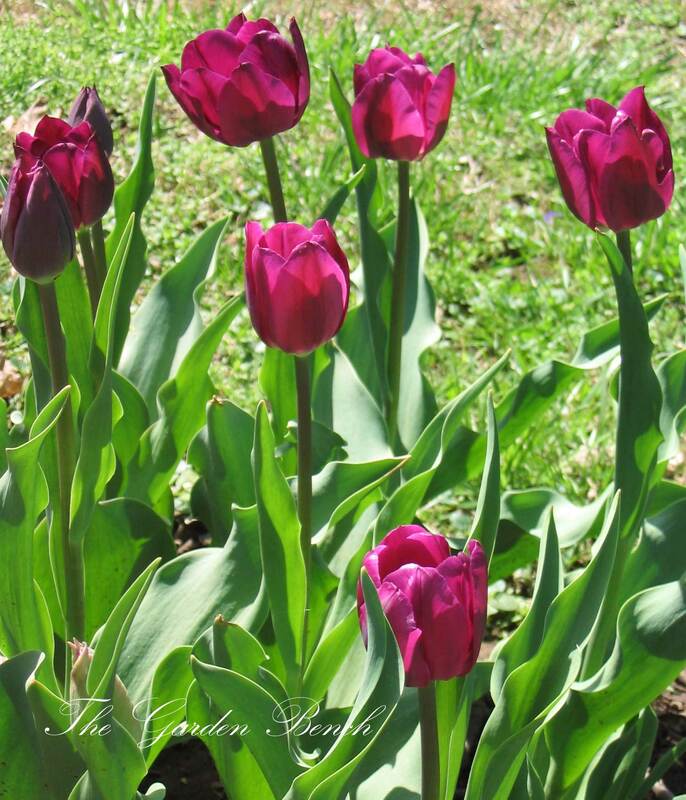 If the bulbs grow and bloom, all those tulips clustered in the pot will be a cheerful sight. Once the blooms fade, you can transplant the bulbs into the ground, but tulip bulbs are not always reliable from year to year. If the late-planting experiment works and they bloom this year, though, they will have had at least one good season. I’ve planted tulips in late January before, and they’ve been fine. Good idea to chill them!